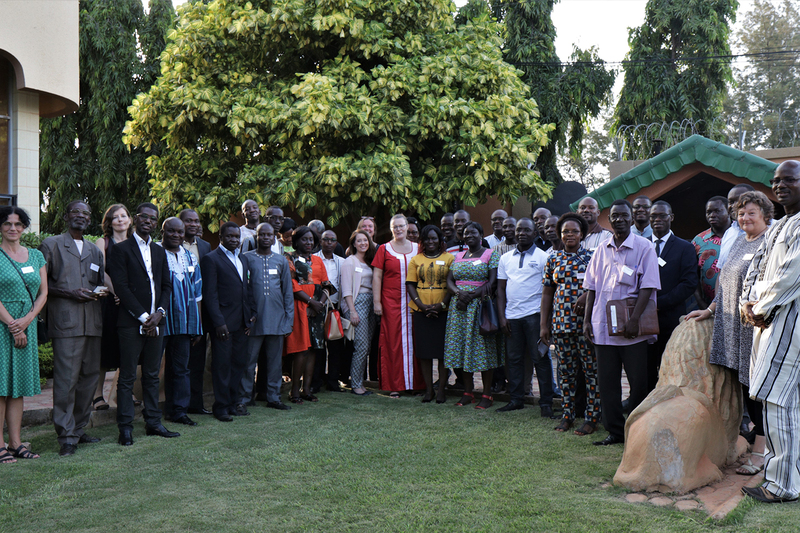 Last month, more than 40 Danida alumni and guests gathered in high spirits at the Danish Ambassador´s residence, a short drive from downtown Ouagadougou. Wearing a dress inspired by the Danish flag, the Ambassador, Ulla Næsby Tawiah, welcomed the guests to the launch of the Danida Burkina Alumni Network (DANE-BF). Two heads think better than one. Each of you has knowledge in different areas of expertise. Your combined knowledge is the resource that will make this network flourish. I encourage you to develop solutions together, solutions to complex issues that will benefit not only you and the members of the network, but also the local communities you work in, said Ulla Næsby Tawiah, the Danish Ambassador to Burkina Faso in her speech. Danida Fellowship Centre has a long history of assisting the Danish Embassy in Burkina Faso by conducting training programmes that support Denmark’s strategic goals. Throughout the years, courses on a variety of topics, such as gender mainstreaming, public financial management and anti-corruption, have been carried out in French-speaking West Africa. The Danida alumni, who have all studied or attended courses conducted by Danida Fellowship Centre in either Denmark or Burkina Faso, work in different sectors, from agriculture to governance, and mainly in NGOs or the public sector. The network provides the alumni with a platform to socialise and network professionally across sectors and workplaces. Mr Arouna Kabore attended the launch carrying a leather-bound folder containing the certificate he had received after completing the Building Agricultural Enterprises training programme in 2014. Mr Kabore now manages his own agricultural business. He attributes much of his success and the expansion of his business to Danida Fellowship Centre’s training programme and his partnership with the Danish Embassy in Ouagadougou. Besides the Danida alumni, embassy staff from Sweden and Denmark, representatives from Save the Children International and Danida Fellowship Centre, and the chairman of the Swedish-Burkina alumni network, ASSAMBUS, attended the launch. The Danida Alumni Network in Burkina Faso is the fifth local Danida alumni network to be launched on the African continent, networks having already been established in Ghana, Uganda, Kenya and Tanzania during the last 18 months. Additionally, two Danida Alumni Networks have been established in Asia: one in Vietnam and the other in Indonesia. 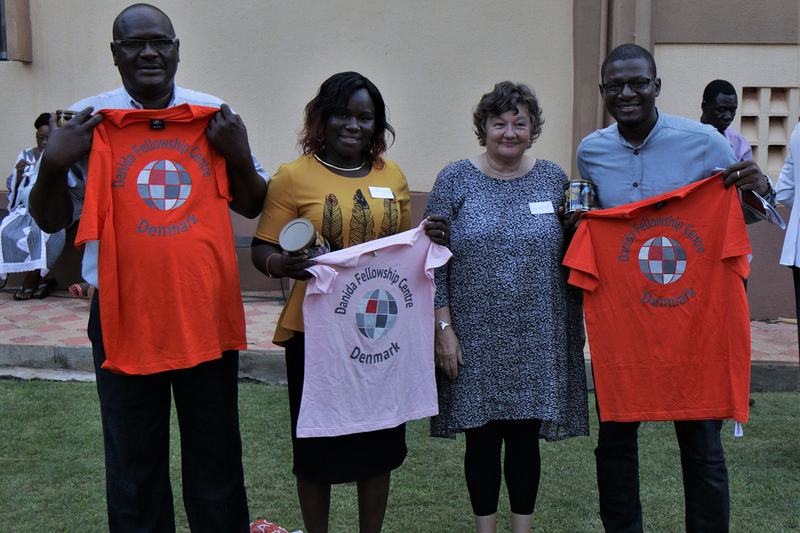 The DANE-BF coordinating team, from left, Mr. Alpha Adama Diallo, Ms. Clarisse Compaore, Ms. Annette Kaalund-Jørgensen (from DFC) and Mr. Yacouba Cissao.